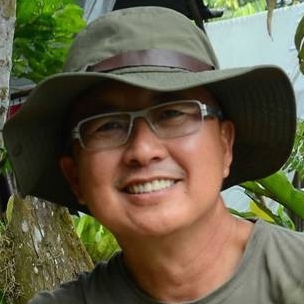 Mr Leslie Chiang is a pioneer in community-based tourism, with a focus on ecotourism projects that serve to promote awareness and cultivate sustainability – environmentally, socially, culturally and economically. He created Sumbiling Eco Village (SEV) by contributing the concept, funding, planning and management of the project. Meanwhile, local Iban villagers contribute in terms of manpower, outdoor and cultural expertise, as well as suggestions and ideas. Today, thousands of travelers have enjoyed the experience that brings them close to nature in a manner consistent with local ways of life. At the same time, SEV provides the villagers with means of earning an income while bringing new value to environmental conservation. Running on the social enterprise blueprint, SEV through its tours and projects puts the money earned back into the community. To date, it supports 15 family members by providing them with jobs and opportunities as trekking guides, boatmen, staff and craftswomen. SEV also sponsors school students to cover school fees, uniforms and books.